The project design is comprised of two 6-story buildings of 72 rental units marketed to low income families. Amenities will include a tenant community room, management office, off-street and under-building parking, outdoor recreational and gardens area, laundry room, tenant storage and security systems. The ground floor will have residential entries from both Westchester Avenue and Rogers Place, secured by an intercom system and video security cameras. A church sanctuary will be located on the ground and cellar floors of Westchester Avenue building. The project will consist of green building features, including energy efficient heating lighting and water usage systems. Located in the Morrisania section of Bronx Community District 2, a predominantly low and moderate income area with a growing population after two decades of decline. Nearly 26% of the population receives public assistance or other government income support. This new demand for affordable housing has spurred a substantial increase in new and rehabbed housing units in the immediate area, a mixture of moderate income rental, elderly and homeownership housing. 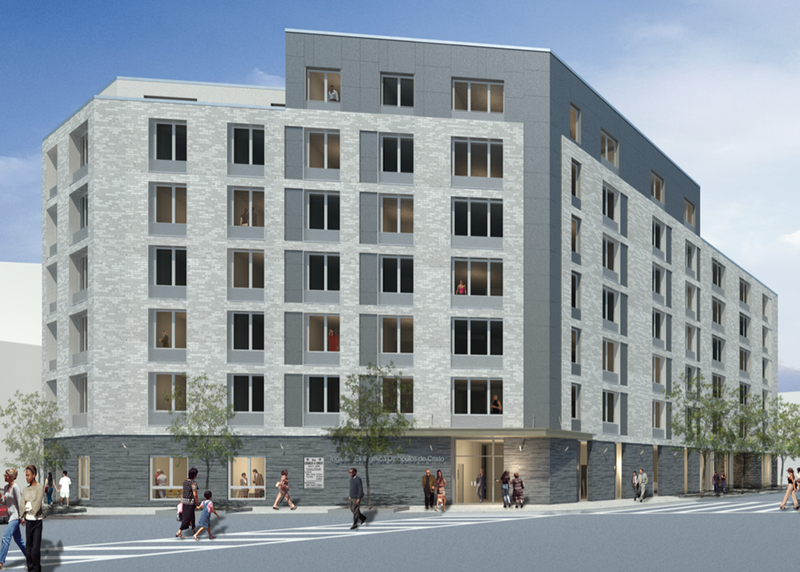 Although hundreds of new housing units have been built, CD 2 remains one of the areas in New York City with a significant shortage of affordable housing. Brisa Builders Development Group, LLC and Evergreen City LLC, propose the joint venture development on a privately-owned vacant parcel owned by the Evangelical Church Disciples of Christ, Inc. The two nearby sites are located on Westchester Avenue and Rogers Place north of the East 163rd St intersection, the Morrisania section of Bronx CB 2. It is an area of active redevelopment and retail services. The proposed financing would include the HPD LIHTC and the Special Needs Housing HOME program loan. City Capital Assistance grants from Borough President and Council Reso A funds are proposed as part of the financing. 100% of the units will be marketed to low income families with a portion reserved for Community Board 2 preference. The units will be targeted to low income working families at the income levels of: 7 units < 30% AMI, 10 Units < 40% AMI, 12 Units < 50% AMI, and 42 Units < 60% AMI. The sites are currently used as the Church parking lot. The sites are located close to the main commercial/retail thoroughfares, East 163rd Street and Prospect Avenue, with shopping and services, public transportation, health and medical services nearby. 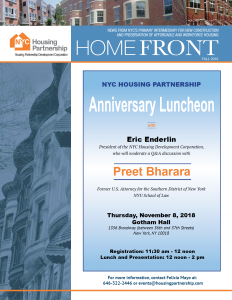 The proposed development team will include Brisa Builders Development Group, LLC, a minority-owned, Brooklyn-based development and construction firm, Evergreen City, LLC, a NY/NJ based real estate development firm, founded by Principal Summer Alhamash as a Women Owned Business Enterprise (WBE).